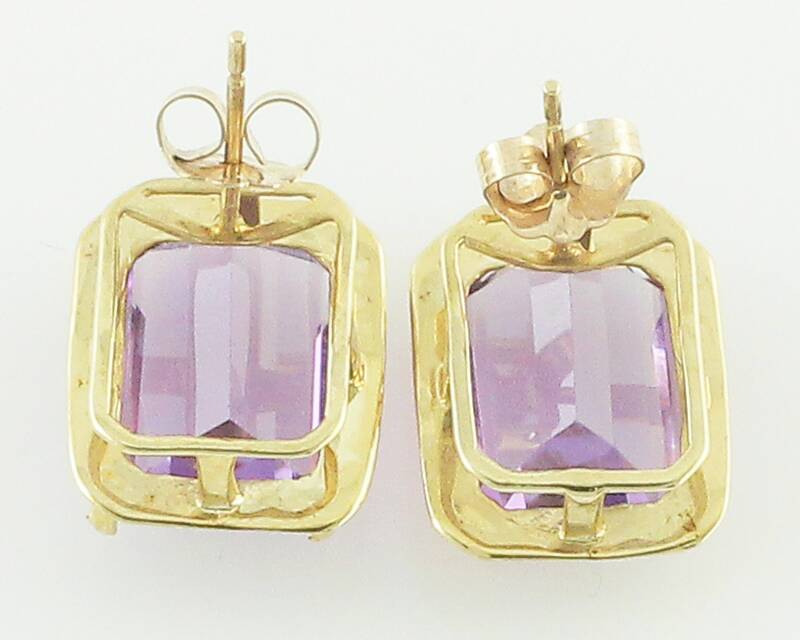 Vintage 1980s Earrings of 10K Yellow Gold and Emerald Cut Natural Amethyst. 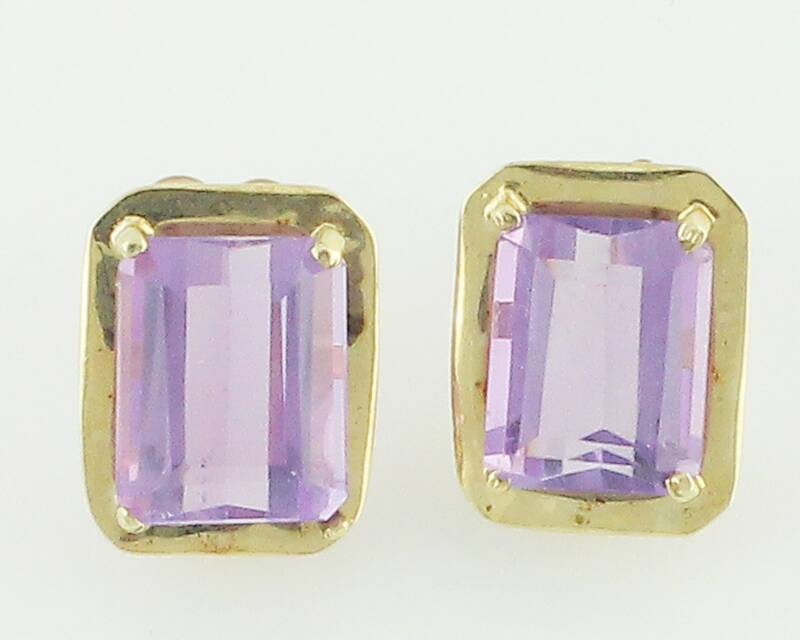 Made in the 1980s, each of these earrings features an emerald cut natural amethyst in an octagonal frame and basket mounting with four prongs. The earrings measure 13.55 mm X 10.7 mm. Finished with butterfly backs. In Very Good Vintage Condition, with minimal wear.